Tim Holtz is THE MAN when it comes to mixed media art. 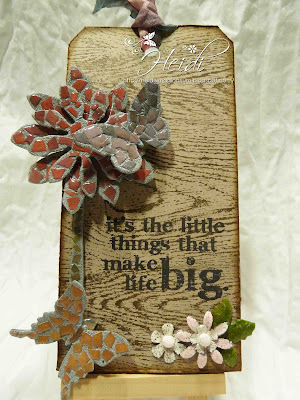 This Tag is my take on the Tim Holtz 12 Tags of 2012 March Challenge. My one question about tags, what do people do with these Tags? I think I am going to stick some magnets on this one and toss it on the fridge. If you do something fun with your tags, let me know! Thanks for visiting! Please let me know what you do with your tags! I love your mosaic work. Very beautiful.